Sign-ups for Senior College and Career Readiness (CCR) meetings have begun! The senior year CCR meeting is the most important and the format will be completely different than what you have experienced in the past. 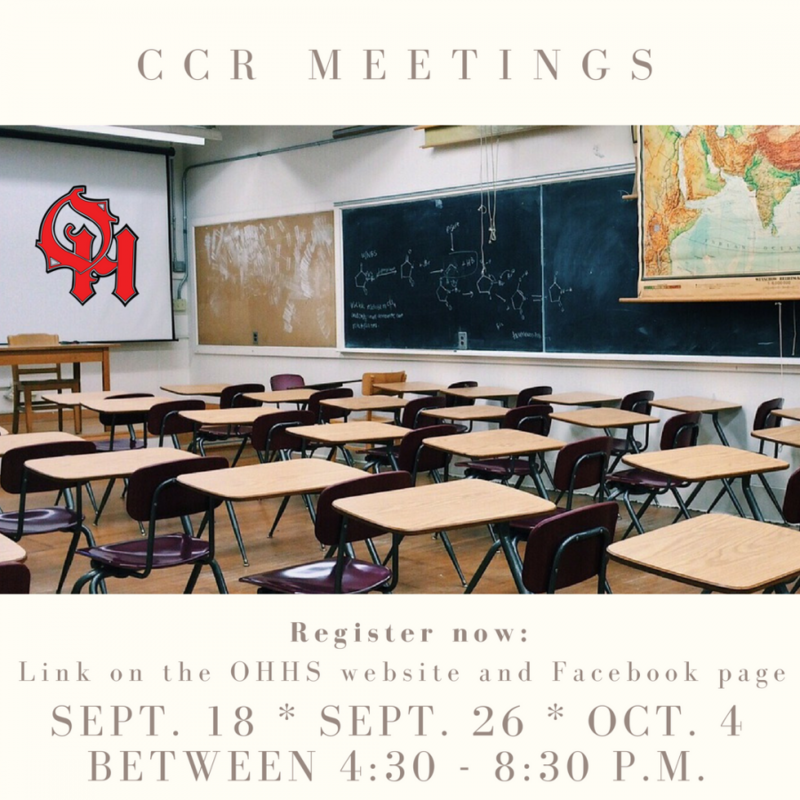 Senior CCR meetings provide an opportunity for you to meet as a student-parent-teacher team to discuss your child’s future plans and goals as well as specific steps that your child needs to take this fall in order to be ready for the next step after Oak Hills. Conversations are tailored to the questions that are most pressing to you and your child, whether that is the college application process, financial aid, or military and career options. You will also receive an updated copy of your student's transcript including updated GPA and class rank. Find your Tartan Time Teachers name and select a date and time that is convenient for you! If your student is in a Program of Study Tartan Time, with either Mrs. Buchanan or Mr. Schroeder, please sign up with this teacher. If your child has been assigned an intervention specialist teacher they will be contacting you directly to schedule your child's CCR meeting. You do not need to use this sign up process as it will be done for you.